I have always considered myself to be a strong therapist. Ever since the beginning of my formal training, during that first role-play in graduate school, I knew that I was an effective healer. I haven’t always felt this way consistently, (no therapist does! ), but it has generally felt natural for me to facilitate profound, deep healing experiences for others. So you might be surprised to discover, (like I was), that when I started my own business, I found myself feeling ineffective and inadequate! I had started spear-heading events, like Soul Solutions Networking and Intuitive Art-Making group… and they went well… and I was thanked and congratulated… but I found that I was underwhelmed! I had been dreaming about starting these events for nearly three years, and I thought that once it finally happened I would feel alive with the passion that fueled them, enjoying the feeling of achievement! Yet driving away all I could think about was how I was looking forward to doing my laundry and paying proper attention to my husband again. Huh?! 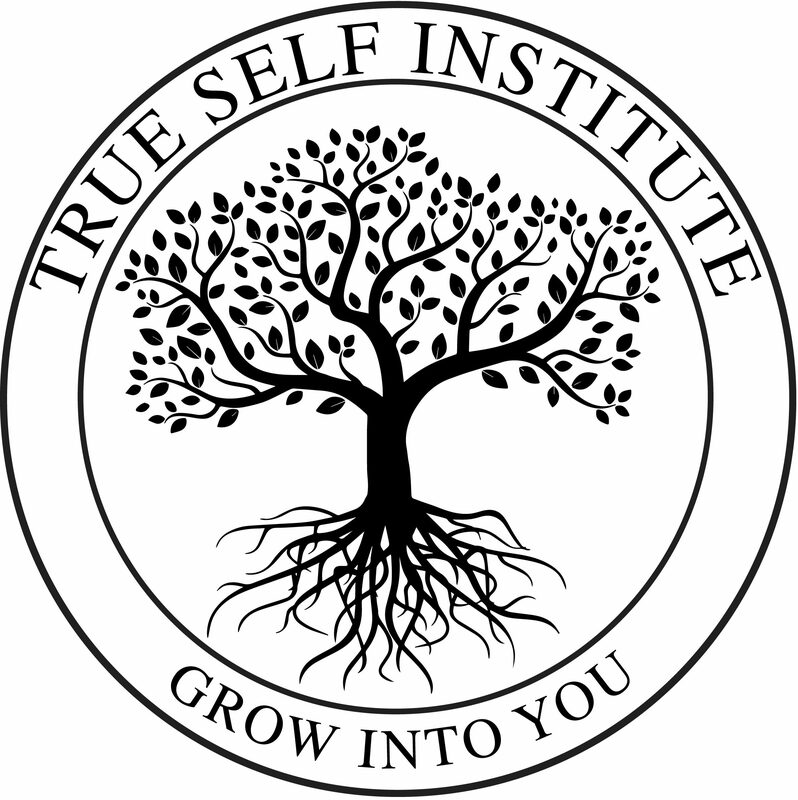 Starting True Self Institute has been about stepping into my power. Sometimes when we agree to align with inspired action, it can hurt. The transformation can bring stuff to the surface. I sat with what I was experiencing during Monday’s Intuitive Art-Making Group, when I created these two pieces. It caused me to realize… I have been defining my worth by the work I do in the world. By how much use I can be of to others. By how “profound and effective” a healer I am. I have found lately, that nothing is all that important. I have wanted to listen more than I speak, to learn more than I teach. To witness more than I heal, and to receive more than I give. Nothing is that important. My very being is enough. My wish is that you experience more okay-ness, more aliveness, more simplicity and grounded-ness, and space. More connection and appreciation and stillness. My hope is that you get beyond the “have-to’s” and “should’s” in your mind, and experience that you are living, and for that reason you are every bit as important as everybody else. You don’t have to be everything your mind and expectations makes you feel you have to be! You just have to Be. In that, I am just so ready to discover other people. To find purpose through connection and sharing. Several people said to me that they felt it, the night of Soul Solutions kick-off. “It’s like finding a tribe.” I am feeling an odd and huge relief that it doesn’t have to be about me. While I come up against my own wounds, I am able to stay present, and even slightly amused about it, like I am watching a movie. And although this is unfamiliar, I am grateful. Because the TRUTH is it was never about ME… It’s about WE. Love love love this!!! Starting my own business has been one of the hardest most uncomfortable, yet most rewarding thing I have ever done. Continue to find stillness and all the answers and creativity will come. Beautifully written and vulnerably shared! I’m very thankful our paths have crossed. The we of what is, yes.